Jesus’ resurrection is what Easter is all about, but another dimension that keeps surfacing in the New Testament accounts of Easter – and actually long after Easter – is the disciples’ witness to the resurrection. We see this dimension built in to the Easter accounts themselves – in John 20, for example, Mary Magdalene meets Jesus in the garden, and after she realises who he is and he speaks to her, she goes and tells the disciples ‘I have seen the Lord’. In Matthew 20:8, the women who have seen Jesus run to tell the disciples their eyewitness testimony – in a society where women did not typically run. In Luke 24, when the two disciples have met Jesus on the road to Emmaus, and have finally seen who he is, they return to Jerusalem straight away to tell the others about what has happened to them and that Jesus is alive. Later, when the disciples meet to choose a Twelfth Man to replace Judas Iscariot, one of the key items of the job description is that this one will be a witness to the resurrection. As the book of Acts unfolds, we see the Spirit-empowered church putting into action Jesus’ command to be his witnesses. 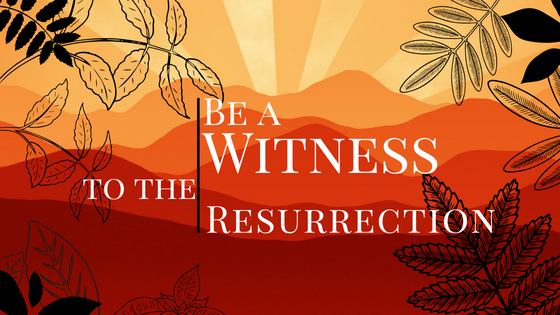 Witnessing to the resurrection of Jesus remains central to the task of the church. Unlike the apostles, we have not seen Jesus alive ourselves, but we rely on their testimony, and pass the story on in our own generation – in our own neighbourhoods and to the ends of the earth. We can acknowledge that the resurrection is a hard event to believe – but it was just as hard to believe in the apostles’ time as it is in ours. The apostles didn’t try to argue for the resurrection, they simply witnessed to it. What they argued for was what the resurrection proved about Jesus: that he is the king in God’s kingdom and therefore, that he rescues us, rules the world, and is to be loved, worshipped and obeyed. I had the opportunity of sharing the story of Jesus’ resurrection with a young Aboriginal man a couple of weeks ago. He came from Minyerri, but divides his time between Mataranka, Minyerri, Katherine and Darwin. He didn’t really know any stories about Jesus. The news of Jesus rising from the dead is still news that people around us don’t know. Many do not even know that this is what the Easter festival is about. For us, Easter is at the heart of our faith, and the heart of our witness. Jesus is risen – he is risen indeed. 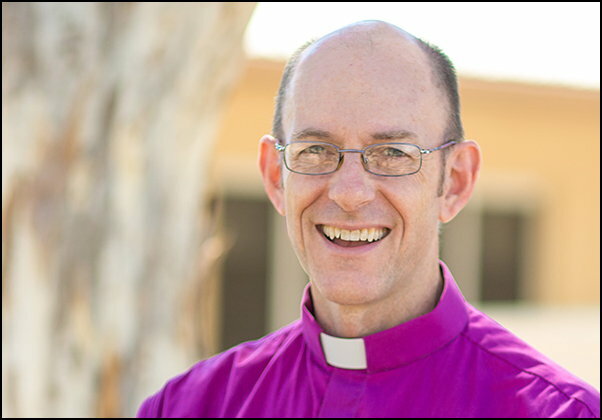 Welcome to the Diocese of the Northern Territory!